I have to say I am extremely proud to post about Lila's Lemoyne St. Hot Sauce since it's a product I help make! About 2 years ago some friends and I decided to create our own unique flavor of hot sauce. What we created was a mango habanero blend that is out of this world! 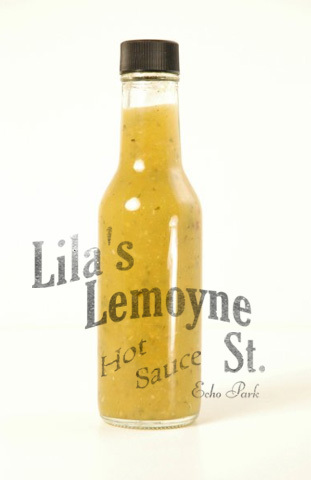 A very spicy sauce that goes great on almost anything! It's become a staple among L.A. summer BBQ's, and we're busy cranking out batch after batch for the Holidays. So don't hesitate and get your order in now. And it's vegan friendly! And for any of you have had the opportunity to taste our sauce for yourself, please leave comments on what you think!